There are so many ways to spend Qantas Points these days: on flights, gift vouchers, hotel stays, household goods, movie tickets, insurance, car hire … the list goes on. By giving members so many choices, Qantas ensures that its loyalty program remains very popular – and profitable. But one of the downsides of so much choice is that it can be hard to compare and decide on which points redemption gets you the most value. And as a general rule of thumb, using points for flights provides the most value, especially if you use points to fly in premium cabins. Think about it this way: you need around 16,000 Qantas Points to purchase a $100 Myer gift card or for a similar number of points you can upgrade from economy to business class between Melbourne and Brisbane. I’d say that upgrade is worth a lot more than $100. If you have Qantas Points to burn, here are some of the highest value redemptions, all of which I love and are achievable with modest points balances. Emirates flies its flagship A380s between Australia’s east coast capitals and Singapore and Bangkok. 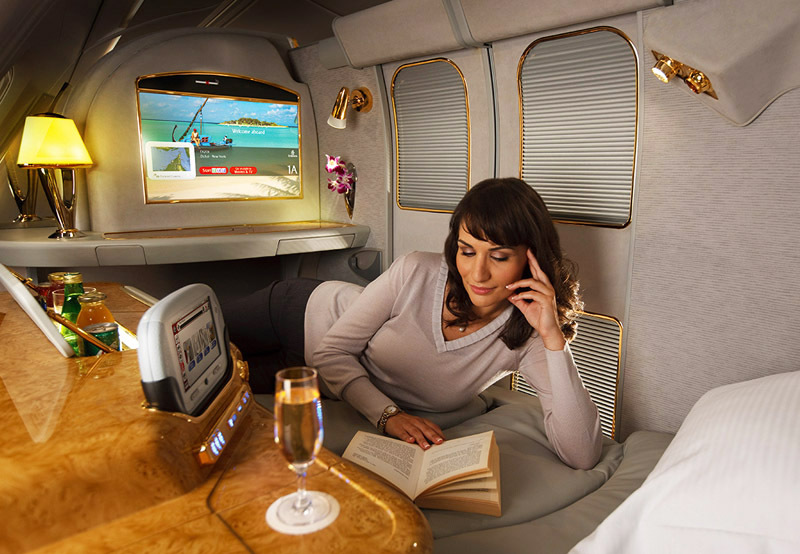 Routes include Melbourne-Singapore, Brisbane-Singapore and Sydney-Bangkok – though not all flights are operated by A380s, which offers a superior business class to Emirates’ 777s. 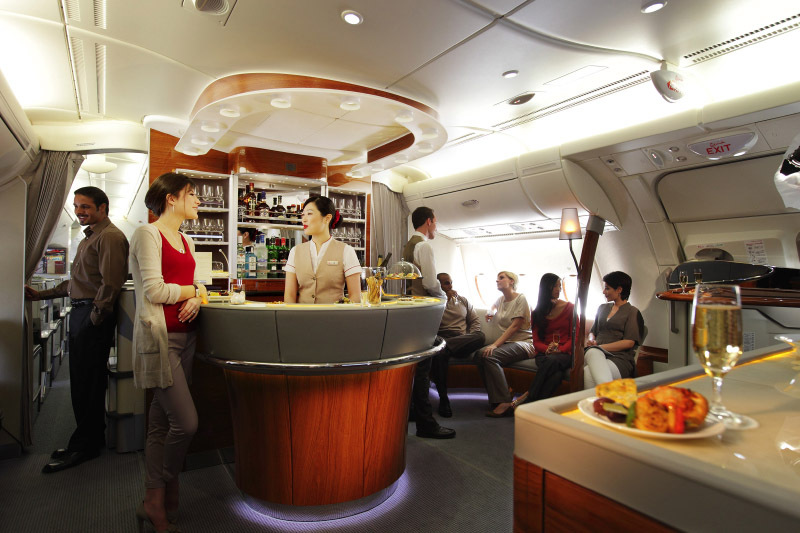 Passengers in Emirates A380 business and first class enjoy great seats, top-notch food and wine, and the famous on-board bar and lounge. 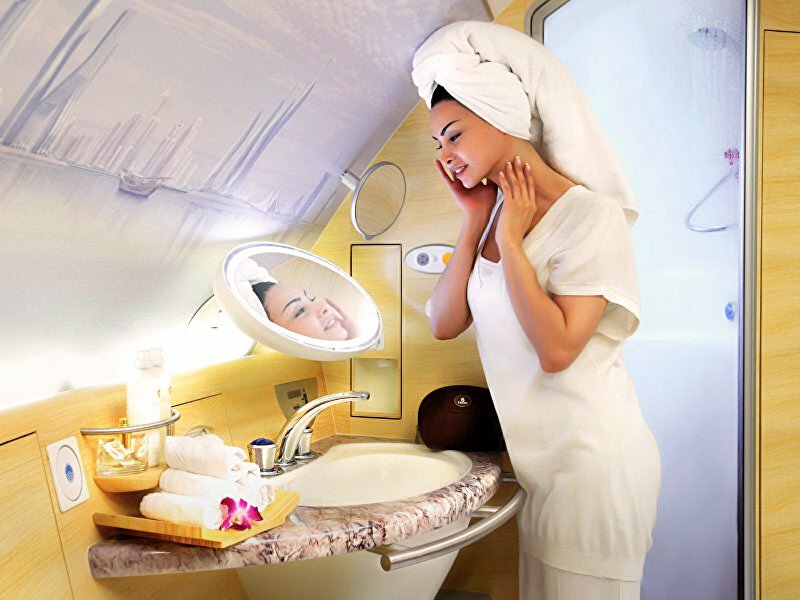 If you’re in first class, you can even sip champagne as you enjoy a hot shower in your private bathroom. You’ll need 60,000 points one-way in business class or 90,000 in first class to Asia, or and with a flight length of 8 to 10 hours, you’ll have plenty of time to enjoy the comforts on board. To get an overview of what to expect in Emirates A380 business class, you can read my review of a recent flight here. Qantas has started flying its shiny, new Boeing 787 Dreamliners to the USA beginning with Los Angeles and, soon, San Francisco and New York City. 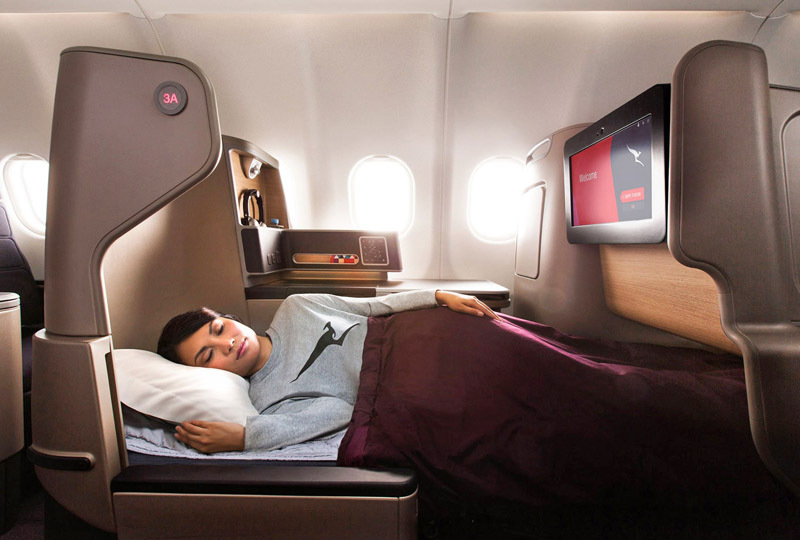 The Dreamliners offer business class passengers a superior experience to Qantas’ A380s (which will be refurbished soon) and B747s (which are being retired). The Dreamliners feature the excellent ‘Business Suite’ in business class, which offers a lie-flat bed and direct aisle access for all passengers, as well as other comforts. A one-way ticket between Melbourne and LA will set you back 96,000 points. 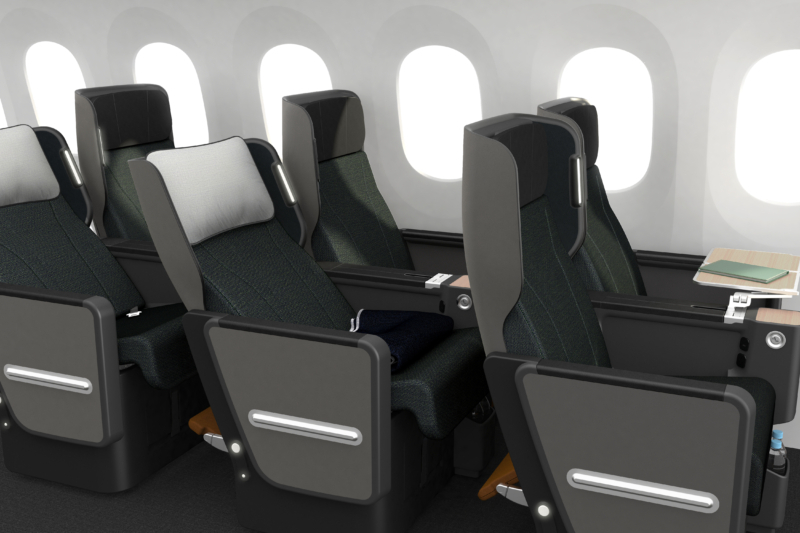 The Dreamliners will also have new premium economy seats on board, which will cost 72,000 points one-way. A word of caution: award seats can be hard to find on routes to the USA, so you should look 12 months in advance to maximize your chances. Qantas operates its refurbished A330s on most flights between Perth and east-coast capitals. The aircraft feature the first-generation ‘Business Suite’ on board. As a passenger in business class, you’ll also enjoy a full (and usually pretty good) meal service on these 3.5+ hour flights. The cost for an outright award seat is 36,000 points one-way, and less if you’re upgrading from economy (it’s 25,000 points to upgrade from the cheapest red e-deal fare). It’s pretty easy to score an upgrade on domestic flights, with your chances increasing in off-peak times and if you hold elite status. This is an excellent use of Qantas Points and a redemption I make all the time. You can read my recent review of a Perth-Melbourne Business Suite flight here. Japan Airlines flies year-round from Melbourne and Sydney to Tokyo, as well as seasonally between Sydney and Osaka. All flights are operated by the airline’s advanced Boeing 787 Dreamliners, with comfortable seats that provide direct aisle access for all passengers. 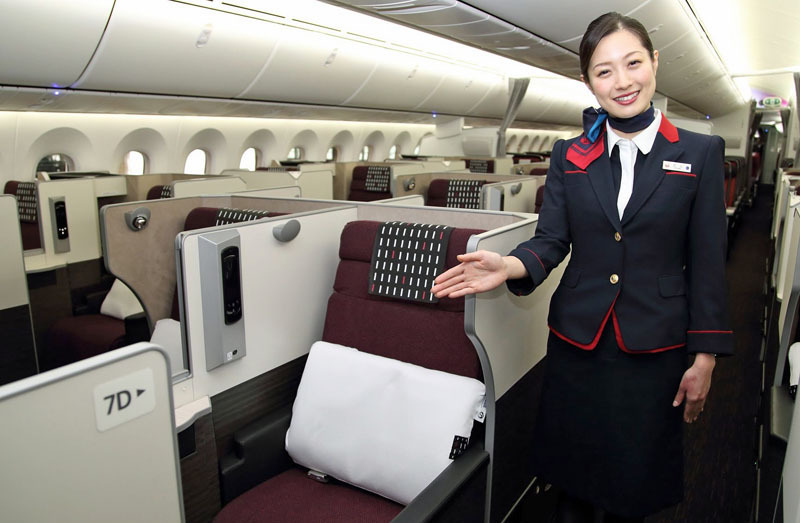 You’ll also enjoy excellent customer service and dining on board – in fact, you’ll feel like your experience of Japan has started as soon as you step foot on the plane. I recently flew between Sydney and Tokyo and rated it as one of my favourite business class experiences. You can read my review of that flight here. A one-way business class flight goes for 78,000 Qantas Points. Note that you can’t search for or book Japan Airlines seats via the Qantas website yet, but apparently this feature is coming soon. Until then, the easiest way to search for seats is via the British Airways website (you’ll need to join its frequent flyer program) and then call Qantas to book. Cathay Pacific has one of the best business class products in Asia and its Hong Kong hub is a great destination in its own right, as well as a convenient stop on the way to Europe and further afield. 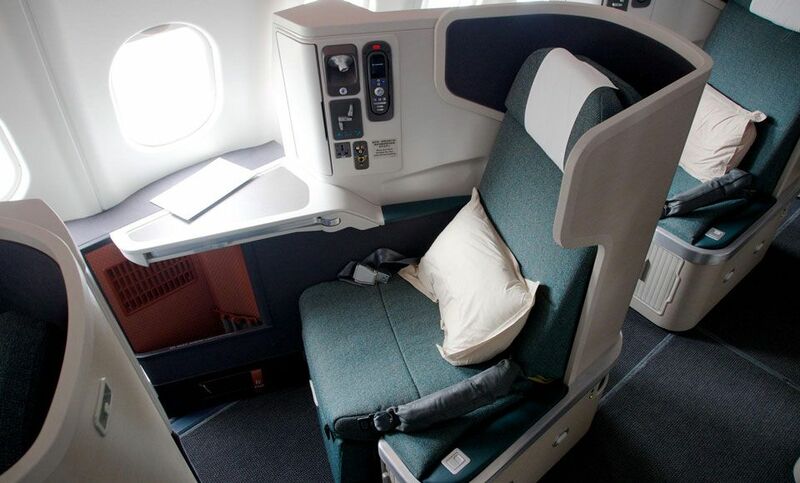 Most Cathay Pacific flights between Australia and Hong Kong are operated by A330s, with fully flat beds arranged in a ‘reverse herringbone’ 1-2-1 configuration (a great seat for both individuals and couples). Cathay Pacific also provides great dining and customer service on board, and comfortable lounges at Hong Kong airport and elsewhere. 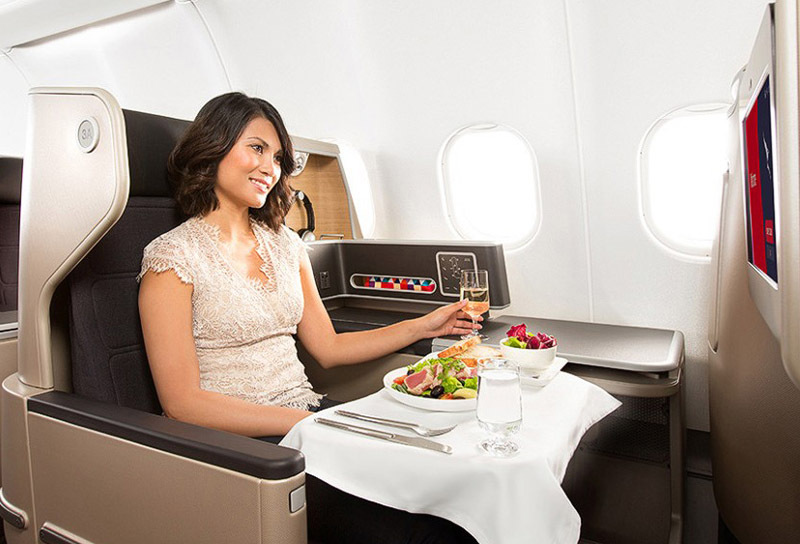 A one-way business class fare from Australia starts at 65,000 Qantas Points. I flew with Cathay Pacific in business class to the USA last year and really enjoyed it (though I didn’t write a review!). This is a great use of Qantas Points, and Cathay is one of the easier airlines to find reward seats with. One of the best uses of Qantas Points is booking the ‘oneworld award’, which allows you to fly up to 35,000 miles with five stopovers, including round-the-world if you wish. It costs 280,000 Qantas Points in business class, which is almost the cost of a return business class fare to London or New York. Flying longer with 5 stopovers for the same price represents excellent value. Booking this award can be tricky, but I’ve written a lengthy post on how you can go about doing so. In my view, the best use of Qantas Points is flying in a premium cabin. The value you get from using Qantas Points this way is enormous and it also brings within reach some luxurious experiences in the air. While premium award seats can be hard to find sometimes, with a little planning and effort you should be able to find seats that work for you. If you’re looking to turbocharge your Qantas Points balance, check out our credit card sign-up deals, here! Hi Kris. Love your website. Question- Re/ Qantas- Is points plus pay to fly premium good value compared to upgrading with points from an already purchased economy flight to premium/ business or not? Thanks in advance for any advice. Hi Rod, points plus pay is a much lower value use of points, however securing an upgrade can be tricky – it’s basically a lottery and your chances depend on the route. You have to weigh up all the factors to decide what’s right for you. I don’t understand… I just tried to book an Emirates flight with a qantas codeshare and there is no points upgrade option. It’s only available on qantas aircraft? Yes sadly you can’t use Qantas Points to upgrade on Emirates operated flights.